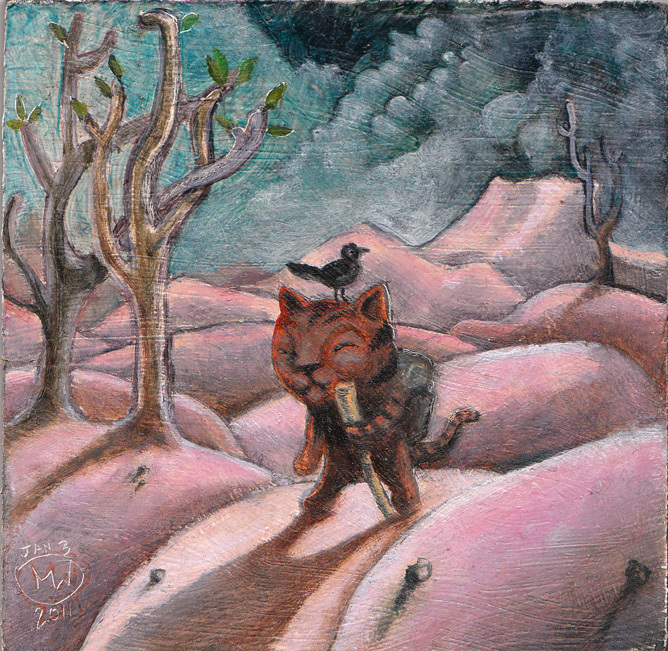 Title: Quest Kiteh Medium: Oil on Panel Date: 01/12/2011 Dimensions: 4" X 4" Description: A sweet little painting. Late in 2010 I had a very odd dream where it was the age before the internet and if you wanted to Google something you had to find a cat and ask it. I painted a lot of paintings based on this theme. This was one of the first.